Ali is pictued going WB/BOW for a 2pts. to finish her championship, Judge: Ms Judy A.Harrington. Ali's first 3pt. major. Judge: Ms Audrey Lycan. Ali's second 3pt. major. She went WB/BOW on 10/15/2005, Potomac Boxer Club Speciality. 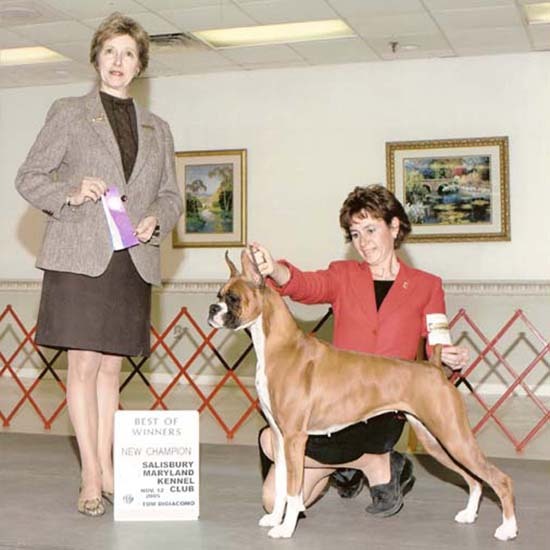 Breeder Judge: Mrs Sandy Orr.